Home > Advertising & Promotion > Should You Sell Alcohol in Your B&B? 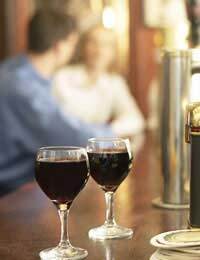 For many B&B owners the question of alcohol licensing may never crop up. After all, not many guests will be requiring alcohol at breakfast, and if there is no bar in the dining., lounge or other communal room, then it simply isn’t an issue. But increasingly it's becoming common for a B&B to offer optional evening meals, particularly if it's a very remote location with few options for eating. Once that's begun then the question of selling (and therefore licensing) alcohol to accompany the evening meal comes up. Before going too deeply into this subject there's a myth that needs clearing up. Some B&B owners have tried offering free alcohol, usually limited to a glass of wine or a pint of beer, with the meal in the mistaken belief that because they aren't selling it there is no need to apply for a license. This is not the case and licensing authorities will take a dim view of anyone trying this one on. They will simply argue that you have included the 'free' alcohol in the price of the room and then you'll be taken to task for flouting licensing laws. You may also be on tricky grounds if you allow guests to bring their own alcohol into your B&B premises. There is unlikely to be any problem if a guest brings in a bottle of wine or a few beers to drink with their meal. But if something goes wrong because a guest is under the influence of alcohol that you have allowed them to drink on your premises then that could get a little sticky. Although you didn't sell it to them, you could be held partly liable for their actions as it was done under your roof. You might also be in trouble if guests allowed their under-age children to drink alcohol under your roof, even if it was with their permission. If you've decide that you should offer alcohol and need to get a licence it is most likely that you will need to approach your regional council who will have a licensing authority. It's difficult to be specific here as different licensing regulations apply to Scotland and Northern Ireland, although England and Wales come under a common set of regulations. To find out more about the relevant regulations in your area refer to the relevant agency. For Scotland go to the Scottish government website, for Northern Ireland search for Drugs Alcohol Northern Ireland and for England or Wales go to the website of the Department for Culture, Media and Sport. In all cases you should be able to find out which local authority handles licensing applications in the area where you are running your B&B. When you make your application there will be many conditions that you will have to ensure the authorities that you'll be able to fulfil. Again these will differ from region to region, but they will fall into two camps, firstly criteria for you (and your partner, if it is a joint application) and secondly for your premises to satisfy. Your background will be investigated to make sure that you are the sort of person (or people) who should be trusted with an alcohol license. This won't be particularly onerous, there may be questions to answer if you have any convictions in the past, for example. Even that may not be an obstacle if you can show that they aren't relevant to serving alcohol, or are a long way in the past. As well as potentially having to make changes to your premises to be able to satisfy the conditions of the licence, neighbours, either residents or other business people, will be able to make a case either supporting or opposing your application. The police will have to be consulted too, although it's unlikely that they will have any objections for a well run B&B, particularly if it's in an out of the way location. There is of course the cost of applying for the license (which again varies according to region) and any extra work to be considered, so this is a decision that needs careful consideration. It's unlikely that selling alcohol in a B&B will be much of a money-spinner as the volumes will be so low, but as a further draw to attract guests it might be well worthwhile.